Autodesk, Inc. is an American multinational software corporation that makes software for the architecture, engineering, construction, manufacturing, media, and entertainment industries. Autodesk, Inc., is a leader in 3D design, engineering and entertainment software. Since its introduction of AutoCAD software in 1982, Autodesk continues to develop the broadest portfolio of 3D software for global markets. It’s AutoCAD and Revit software is primarily used by architects, engineers, and structural designers to design, draft, and model buildings and other structures. Customers across the manufacturing, architecture, building, construction, and media and entertainment industries—including the last 19 Academy Award winners for Best Visual Effects—use Autodesk software to design, visualize, and simulate their ideas before they’re ever built or created. REI is an approved Institute of Leadership & Management (ILM) Training Centre providing Accredited Programs in the areas of Leadership & Management. ILM is the UK’s largest management body, combining industry-leading qualifications and specialist member services. ILM was formed in November 2001 through the merger of the Institute of Supervision and Management (ISM) and NEBS Management (National Examining Board for Supervision & Management). ILM is highly passionate about good leadership and management, and in turn empowers / transforms individual and organizational performance. Over 750,000 managers have benefited from an ILM qualification or accredited training program in the past ten years, while 35,000 managers are now members of ILM. ILM awards qualifications to more than 95,000 managers every year across the world. 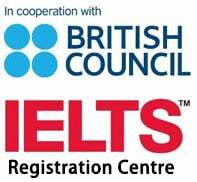 REI is an authorized IELTS Registration Centre for British Council. IELTS is the world’s most popular English language proficiency test with two million tests taken in the last year. Taking IELTS opens doors – it can help you live, study and work in 135 countries around the world. More than 8,000 organizations worldwide accept IELTS, including government, academic and employment institutions- including over 3,000 institutions in the USA. In fact, IELTS is the only English language test accepted for immigration purposes by all countries that require one. IELTS is designed to assess the language ability of candidates who want to work or study in countries where English is the language of communication. 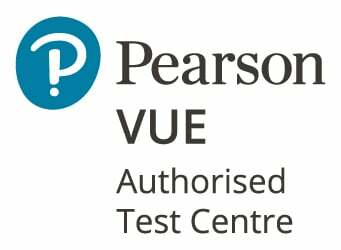 REI is an approved PEARSON VUE Computer Testing Centre for IT Network and Management Programs.